Reputation management for physician practices is a whole new world for doctors to navigate. This week, I talk with Elle Pierson about what those in private practice need to know about managing their online reputations. Elle is an RN and reputation management consultant who works with healthcare organizations to build, protect and manage their online reputations. You can find her at Digital Healthcare Consultants. Learn why medical providers in private practice need to understand the world of online ratings and patient reviews. Find out how you can use the power of online patient ratings to grow your medical practice and gain happy, devoted patients. Discover how to handle negative patient reviews – while still creating an online reputation that reflects your skill and dedication. Find out how to use online reputation management tools to increase patient loyalty and grow your practice. Jennifer: 00:03 Hi, everyone! I’m Jennifer with MichelleMarketingStrategies.com where I specialize in helping healthcare IT and provider organizations achieve their strategic growth objectives. Today on Healthcare Lead Generation, we are talking with the amazing Elle Pierson. She is an RN and Reputation Management Consultant, so she works with healthcare organizations to build, protect and manage their online reputations. You can find her at digitalhealthcareconsultants.com. The topic today, of course, is reputation management. Now we do this interview in three parts. Part One will be talking about really what goes into an online reputation for a medical provider and then we’ll come back in Parts Two and Three and talk about how a provider might build their online reputation and the most complex part, how do you respond to a negative review. Now let’s dive into Part One on online reputation management. Elle, welcome to the podcast! It’s just such a pleasure to have you here. Elle:	00:59	Thank you, Jennifer. I definitely am excited to talk about the importance of reputation management and online visibility today with you. Jennifer:	01:08	Well, it’s a really growing interest I think because it’s something that people kept pish-poshing and saying “we don’t need to do it.” And then they’re like, “Oh, we need to do this” and there’s a little panic, I think, out there. Can you talk a little bit about that and how you got into this? Elle:	01:25	Yes. Well, there’s never been a more important time for doctors to really be aware of how important it is to really engage with their patients online and have an online presence. I got started with online reputation management just in my healthcare journey. So as an administrator in a hospital setting, this was a project that I constantly worked on – the patient experience – but really so much of the patient experience in the online space. So we constantly were navigating and rediscovering ways that we could enhance that patient’s journey. So they could become a loyal patient and we can regain that retention and so forth. And so I decided to really take those skills and take that knowledge that I learned in the acute care hospital setting and really apply that to helping physicians who have their own practices. And so that’s how I got started in the space and it’s, again, a great time for physicians to really become aware and get involved. Jennifer:	02:38	I think you’re absolutely right. Is there something in that experience that made this so important to you? Was it just the timing or is there something else that you realized? Elle:	02:48	Yes, absolutely. I want to share an experience that I had. I am a mother and I would look for a pediatric dentist for my daughter. I asked friends for referrals and so forth. But my journey really started when I was looking online as we all do. And so I Googled a pediatric dentist and there was a physician that populated and, of course, I looked online. I was very intrigued by this particular physician’s ratings and there were an immense amount of reviews. Not only were there a large quantity of reviews, but she really did take the time to respond. I found that impressive. Not a lot of healthcare providers take the time out of their day to really make patients feel like they are acknowledged when patients are giving them compliments. I was really impressed and intrigued by that. So I moved forward and made an appointment for my daughter and I was just blown away, Jennifer, by the experience we had, even before we met her. So, yes, I was really impressed. Days before the appointment, we got a text reminder saying, “Hey Alyssa, you have an appointment at this date and time.” And I was amazed when we went into the practice – we had our appointment, we had a great experience. But following that, we got a request to rate our experience, as well. We rated our experience and she didn’t just let us move forward and not stay in contact. She nurtured that relationship. She sends my daughter, ’til this day, reminders that she’s having an upcoming appointment that’s necessary. She sends out birthday messages, as well. It’s really created loyalty and I refer her to everyone that I know who’s looking for a pediatric dentist for their child because she really has nurtured that relationship and it all started by me finding her online. Jennifer:	05:08	That’s fantastic. And I think more and more that is how it happens. I know that that’s where I go. Let’s dive into some of this. If somebody is asking about an online reputation, what really creates that? Elle:	05:23	When you are thinking about making your online reputation known, it’s really about your online presence to start. Your priority needs to be centered around, do you prioritize the patient experience? The patient experience does not begin when that patient steps foot into your physical practice; that patient experience takes place in the online space. And so there’re some things that need to happen for you to establish your reputation. And again, that’s about online visibility. So one of the first things you want to do is – I tell physicians all the time – you need to be able to claim your Google business listing. That is so important because the #1 place where patients go is Google. They’ll Google the nearest dentist near me or the nearest pediatrician near me. So you want to make sure that, when they’re looking for you, they’re able to find you. There’re so many physicians to this day that own practices that haven’t even done this. So when patients are looking for them, they can’t be found. Jennifer: 06:35 That’s so important. A lot of the people I work with, they are national healthcare technology companies. They’re trying to market to everybody across the country, they don’t have a specific area. But when you’re a provider, unless you are the specialist that people will be sent to from a whole region, the odds are you need people to know about you in your local area. That’s what a medical provider, that’s what a dental provider is going to need. So it’s a very different way of optimizing for local search then it would be for generic search. Do you find that they are excited about that? Because I bet they don’t even know when you first talk to them. I bet they’re not even aware that they have to do that. Elle: 07:14 Yes. Well that’s something that you have to bring awareness to and it’s so important. Not only Google but also you want to make sure that you are wherever your patients are and typically these days, everyone is on their phone. So, not only are they looking for physicians on Google but most doctors don’t even know that there are medical directories such as Healthgrades, Zocdoc, RateMDs, Vitals and their information is automatically pulled, Jennifer, based on their NPI number. Elle:	07:50	Yes, very true. So there could be a medical directory who’s listed your practice or listed your credentials online for patients to review and you don’t even know that patients are reviewing you because you have not claimed your medical directory listing. Jennifer:	08:07	So you can’t respond because you’re not even sure if anything is happening there. Elle:	08:11	Absolutely. And it happens all the time. There may be a 2.5 rating on Healthgrades and you know nothing about that because you haven’t claimed your listing. But your patients are there looking for you. And that’s so important. Jennifer:	08:25	I think that’s something we’re going to come back to in Part Three – let’s say you don’t get a high rating there, what do you do? Because I think that is very important. But I think the whole concept that they’re being rated, whether they’re aware of it or not … I was at a panel, wasn’t speaking at the panel – I was speaking on something else – but I was in the audience and they started talking about physicians being rated and some people were not as happy that physicians were being rated. As they said, like for Uber drivers. I’m thinking, well, like it or not, you are being rated like that. And what you just described is such a perfect example. Whether you want to participate or not, you are involved in this. You will be rated whether you think you’re participating or you don’t. It’s happening anyway. And I think that’s really important for medical providers to realize; it’s a different world. Elle:	09:17	Yes. You know, with medical directories, with Google, another great way for physicians who own practices to really be proactive in their online reputation is also being on social media. That’s a huge factor, as well, because Facebook now has the option for patients to also go onto your page and rate you there, as well. Actually, Facebook is the second largest rating platform for any business, including anyone that owns a health care organization. So that’s really powerful. Jennifer: 10:01 Wow. I didn’t know that. That’s a very interesting fact. That is very interesting and helps you a lot about where you need to be. Especially when, as a medical provider, you are really looking for your patients in a local pool and you’re not doing B2B and it’s not really B2C because they’re not consumers per se, but it’s a very different world and yet they’re still on Facebook. They’re still on Google and that is something I think not everyone is aware of. So I think it’s great to bring that to people’s attention. I think this is a great part to break off for Part One and, for everyone listening, we’re talking with Elle Pierson, who is an RN and a reputation management consultant. She works with healthcare organizations to build, protect and manage their online reputations and you can find her at digitalhealthcareconsultants.com. In Part One, we just talked about online reputations and why they’re so important. Come back and join us in Part Two and we’ll talk how to build your online reputation. And Part Three, when we’ll talk about how providers can respond to negative reviews. This is Jennifer Michelle. I’m your host. I’m with MichelleMarketingStrategies.com, where I specialize in healthcare lead generation. Elle, thank you so much and we’ll see you in Part Two. Jennifer: 00:00 Welcome back to Healthcare Lead Generation. This is Jennifer Michelle of MichelleMarketingStrategies.com, where I specialize in helping healthcare IT and provider organizations achieve their strategic growth objectives. Today we have the pleasure of speaking with Elle Pierson. Elle is an RN and a reputation management consultant. She works with healthcare organizations to build, protect, and manage their online reputations. You can find her at digitalhealthcareconsultants.com. Now in Part One, we spoke about online reputations for medical providers. In Part Two, which is right now. we’re going to talk about how to build your online reputation and then I’m going to ask you to come back for Part Three, where we’re going to talk about responding to negative reviews. Right now, it’s how to build your online reputation. So welcome back and let’s dive in! That’s the first question, isn’t it? It’s like, you convinced me I need this, what do I do? Elle: 00:55 Yes, absolutely. Thank you again, Jennifer, for having me. I really appreciate you. Jennifer: 00:59 It’s so fun to have you here. I’m learning so much. I know everybody else is, too. Elle: 01:03 Absolutely. So when it comes to building your reputation, there are some key things that you need to do, so if you don’t mind, Jennifer, I’ll walk through those things together with you. Jennifer: 01:15 Great. Yeah, absolutely. Elle: 01:17 So just like we discussed before, you want to make sure it’s your #1 priority to claim your Google business listing. That’s #1 because patients are going directly to Google these days to find you, so you want to make sure that, when they’re looking for you, you’re searchable and they can find what they need. Patients nowadays, they really want to get to know you. So they can book that appointment with you, so you want to make sure that you’re creating a great online presentation of your practice, even before they step foot into your office. Jennifer: 01:51 And this is what you do with your clients, right? They don’t have to know all this – this is what you help them do. I mean, you do it for them. Elle: 01:58 Yes. Well, it’s really good to make them aware of the importance of this, to educate them, but doctors are extremely busy. We want them to focus on patient care and so we outsource all of this to our group of healthcare consultants. Jennifer: 02:13 Right. I just wanted to make clear to anyone listening that they’re not thinking, “Oh great, now I’ve got to go and do this. I don’t even know what it means to claim my Google business listing.” But that’s the whole point – that you can help with that. So let’s say they’ve claimed their Google business listing. Where do they go from there? Elle: 02:29 So they’ve claimed their Google business listing and one of the most important things that they want to start doing is generating reviews. So you have to think of what patients look for when they’re looking for a healthcare provider and you can put yourself in the patient’s shoes because we’re all consumers. When we’re looking for a restaurant or we’re going on vacation, we’re looking for hotels. Unfortunately, healthcare has turned into that same type of model where patients are looking for ratings and the quantity of reviews that medical providers have, in order to make their buying decisions, as well. You want to make sure that you generate ratings, so therefore your rating can be 4.5 or higher. Now I don’t know about you, Jennifer, but I’m not a 2.5 kind of girl. Jennifer: 03:17 No, not for a doctor, not for anything. I actually rejected a pair of slippers online this morning because it was a 2 and I’m like, I don’t care, there’s something wrong. Elle: 03:25 Absolutely. So when you are seeking a healthcare provider, someone who’s knowledgeable, someone who you are sharing your medical history with, you want to make sure that this person is someone who is trusted. So, not only is it important that healthcare providers have a very high rating, but a great high quantity of reviews is also important, too. The quantity of reviews is so important, Jennifer, because reviews not only create trust and potential patients can see that what other patients have said about their experiences, but when you have a high amount of reviews, it also puts you higher in local search engines. Elle: 04:15 Yes. Yes, absolutely. So when a patient has finished their office visit, it’s really important that the staff is trained to say, “Hey, you know, Jennifer, if you had a great experience with the doctor today, please go online and share that experience. We would really appreciate it.” So that’s how you generate reviews – by soliciting and asking. That way you can increase your ratings and increase the amount of reviews that you have. It’s extremely important. Jennifer: 04:43 Do you ever find that it helps to incentivize people to do that or maybe that violates some law, because these are physicians? Elle: 04:51 With the medical industry, it’s a very thin line. You really don’t want to incentivize like other businesses out there may do. With healthcare, it is a little different and when patients have a great experience, they’re more than happy to share that experience online without you having to bargain with them to do so. Jennifer: 05:13 Excellent. So it sounds like Google and just the quantity of reviews are the main things. What about Healthgrades? What goes into something like that? Elle: 05:25 The same thing. Just like you claimed your Google listing, you also want to make sure that you’ve also claimed your listings on the medical directory sites. One great thing that we do is create all of this, so we put all information on one platform. So if you’re drawing reviews from Healthgrades, or RateMDs or Vitals, we get all of that on one single platform. And this is the most important thing about your online reputation, Jennifer, and why it’s important to bring all of that on one single software solution: it’s very important that you respond to every single comment, feedback, review, because part of the Google algorithm that ranks you is your response to patient feedback. So if you want to be listed in that top three tier search, you want to make sure that you’re also responding to reviews and you have a high rating and a high quantity of reviews, as well. Jennifer: 06:23 A couple of questions. One, I assume that’s also something that your company helps providers with because I imagine that the last thing providers want when they finally decide to go and do some of this, is to then have to maintain it. Elle: 06:36 Yes, yes, we absolutely do that for them. And that’s something that really does set us apart. There are a lot of tech companies that will generate reviews for doctors, but they don’t respond to those reviews and healthcare providers are busy. They don’t have time to do so, but it’s extremely important because it creates trust and loyalty for that patient to become a life-long patient. And not someone who’s coming in for a general office visit and you may never see them again. Jennifer: 07:02 When we come back in Part Three to talk about when there is a negative review, I think that is exactly the kind of thing that is going to help you handle that and come out stronger. Jennifer: 07:12 I think that’s really important. Now, does that platform propagate out to all the different rating systems, or do you have to manually paste it in? Or, if it’s only in Google, does it stay in Google and it doesn’t get moved around? Elle: 07:30 No. We include all of the medical directories and all of the review platforms into one single solution. If I’m managing your practice, Jennifer, I’m able to get a big picture idea of what’s being said on the web about you. So anytime there’s a patient that comments, we would be able to go in and to respond to that comment and then notify you, as well, that you just received a rating or review. It’s like a reputation alert that we’ll send to you. But we respond to it. Jennifer: 08:05 That’s awesome. Now, is there a way people can link them? So if you get a great review on Google, can you also make that on Healthgrades or are they separate? Elle: 08:15 One of the reasons why it’s important to find someone to do this is, for example, if a patient were to leave your practice, we would send them an automated text message. That text message would give them the opportunity to rate their service right at that time. So you get immediate feedback and, from there, that response is then pushed to a review site of their choice. So the patient has the option to post it to Facebook, to Google, to Healthgrades, etc. Most physicians won’t be able to do that on their own. All that they can do is train their staff to generate reviews for them. Does that make sense, Jennifer? Jennifer: 09:07 I think it does. It’s a really great service because it’s an entire administration process all on its own, which most people don’t know about. It’s a real niche thing and you can see how that would weigh very heavily on your local medical practice. They’re a pediatrician, they are dermatologists – they did not get into private practice so they can deal with their online stuff. They probably don’t even know, in many cases, that they even should think about it. Elle: 09:35 Absolutely. So it’s not only just about the patient experience but it’s a marketing component, too. So you’re almost killing two birds with one stone. The patient has a journey from meeting you online. And once they’ve had their appointment with you, you can continue to nurture that relationship and you also have a free marketing platform. If I’m looking for a pediatrician and I see high ratings and reviews, that’s a form of marketing. Jennifer: 10:05 It absolutely is because word-of-mouth marketing is the oldest kind of marketing ever and it’s the strongest. This just allows it to be shouted from the rooftops a little bit louder. Jennifer: 10:17 II’s wonderful. You know, I’m going to wrap us up for Part Two because I think that is just so informative. I think everyone who’s listening to this is going, “Oh my God, what did she say about Google? What did you say about Healthgrades?” And hopefully they will get in touch with you on that. For everyone listening. I’m Jennifer Michelle with MichelleMarketingStrategies.com. I specialize in healthcare IT and provider organizations and helping them with their strategic growth and their lead generation. Today on this podcast, we’re talking with the amazing Elle Pierson. 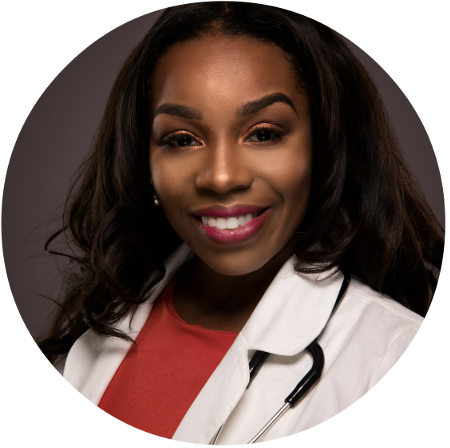 She is a nurse and a reputation management consultant and she owns digitalhealthcareconsultants.com, which helps providers to build, protect and manage their online reputations. Now this is a 3-part interview. Previously in Part One, we spoke about online reputations in general for medical providers and just now we were talking about how medical providers can build an online reputation. So please join us when we come back in Part Three to talk about the really important part, which is what happens when you do get a negative review. How do you handle that and turn that into something gold? Elle, thank you so much and please come back in a few minutes and join us for Part Three. Elle: 11:25 Absolutely. Thank you, Jennifer. Jennifer: 00:03 Hi, everybody! Welcome back to Healthcare Lead Generation. I’m Jennifer Michelle with MichelleMarketingStrategies.com, where I work with healthcare tech and provider organizations to help them achieve their strategic growth objectives. I specialize in lead generation. Today on our podcast, we’re talking with Elle Pierson. Elle is an RN and reputation management consultant. She owns digitalhealthcareconsultants.com and she works with providers and healthcare organizations to build, protect and manage their online reputations. We’re doing this in three parts and in Part One, we talked about really what goes into an online reputation for medical providers. Then, in Part Two, we came back and spoke about what does the medical provider have to do to build and develop their online reputation. Now, in Part Three, we’re going to dive into what a provider needs to know about handling negative reviews. So, Elle, welcome back. I know this is a really,difficult topic, handling the negative reviews because people feel, obviously, judged. And there’s always a bigger story than you see. And that’s a scary thing, to think your reputation might be out there, online permanently, and maybe somebody didn’t give you five stars and maybe you deserved it. So tell me how people can deal with that and what we need to know. Elle: 01:24 Absolutely, Jennifer. The first thing you want to remember is you should be responding to all reviews, not just negative reviews, but positive reviews, as well. It creates patient loyalty that will continue to help your business grow through referrals. When it comes to negative reviews, I know it’s a touchy subject, but if you have a strategy in place, you can absolutely be successful at responding to those negative reviews and absolutely implement some service recovery that can also turn that unhappy patient to a happy life-long patient. Jennifer: 02:08 Absolutely. I think this is something we know instinctively. I always think that the easiest place for us to think about it as a place like Yelp or Tripadvisor or something that isn’t medical. How often have we read through, whenever we’re planning a vacation or looking at a new hotel, dozens of reviews. You always go to the negative ones because if it’s bad, you want to know. Jennifer: 02:34 Then you start comparing it to the others and you it’s funny how we think about it. We’re like, well, how well did they respond? Well, they seem to have a better explanation and that person seemed a little crazy. I remember this one hotel I went to and we were reading literally before we went there tons of reviews. And with one, it was clearly a bridezilla at some destination wedding and having a situation. But you can’t base your trip on that because it was so crazy, but it was mesmerizing to read. But it gives you perspective. So when you say you always have to respond to all of them, it does humanize you and it gives more people a chance to read more, and it balances that out right there before you’ve even done anything. I just think it’s brilliant. So talk about how this can be a learning opportunity because it hurts to get a negative review. People often don’t realize that sometimes, when you make someone who is unhappy, happy, they become your strongest advocate. Elle: 03:34 Yes. Well, let me tell you, Jennifer, I have seen some cringe-worthy responses online. Elle: 03:43 You are very emotional when it comes to your business and how you’re portrayed. So I understand. Again, like we discussed previously, you want to make sure you respond to that review and I say in 24 hours or less – and this is something that we do. Jennifer: 04:01 Right, because I’m sure it would be very hard for a physician to do that for their own practice. Elle: 04:05 I know it’s very hard but the faster you respond to that happy or especially unhappy patient, the faster you have to provide service recovery. So, when it comes to negative reviews, it’s not necessarily a bad thing. It can really highlight some aspects of what’s going on internally in your practice that you may not be aware of. So you can take those exposed negative reviews or comments as feedback on, potentially, some things that can be looked into in your practice. It’s also an opportunity for you to celebrate successes, as well. So when it comes to taking negative responses and reviews and really thinking about, okay, what are some things that are going on, look at the trends of those reviews. If you have a constant trend or constant comments from your patients and they’re saying, “I had a really bad experience with a front office representative” and you’re seeing trends, then you want to say to yourself, “Okay, is there something going on where I need to reeducate my office staff on some things that they can improve upon?” Because that’s a direct reflection of your ratings and reviews. You may be providing the best and the most optimal service as a healthcare provider. However, that negative review generating from your front office staff is a problem. And so negative reviews, again, can highlight some things that you may not be aware of because most medical providers are focused on patient care. They’re not focused on some of the back end things that they may not be aware of. So reviews really give you the chance to take a deep dive into what’s going on, where you may not be aware. Jennifer: 05:53 I like how you talked about it as a learning experience because one of the things I was taught when I took this wonderful class many, many moons ago on lead generation is to look at online reviews in your sector. Now, that’s not always possible with healthcare tech in some cases. But when a person leaves you a review, they’re not coached. You’re hearing the way they think about it. You’re hearing what’s important to them. They’re telling you and they’re telling you it in a language that is most meaningful to them. So, for any marketer, it’s a goldmine because everybody thinks marketing is “I’ll make a cool tagline.” But, especially in healthcare marketing, it’s saying, “Oh, this thing will help a specific person with a specific issue. How do I communicate that to them?” Well, if you have reviews that you can go through, you will hear what’s important to them in the words that they use. Then, you put that in your marketing and you’ve just made it resonate with them. They’ll say, “Oh, that’s exactly what I want.” That is meaningful and it will feel like you were in their head in a good way. Like “That was exactly what I was worried about. I didn’t even know that and I’m going to call this person.” So that’s the kind of marketing where it’s not like you have to make up magic. You just have to listen. Elle: 07:08 Absolutely. And again, we talked about this previously, Jennifer, this is a platform. This is a free way where you can market to your prospective patients, who are looking at how you respond. So if someone looking for your particular services is online and they see how you respond and you’ve taken the time out to acknowledge this patient, then they are more likely to book an appointment with you because you’re caring and you validated their concern. So with that. Jennifer, do you mind if I provide you with some tips to respond to negative reviews? Jennifer: 07:46 Oh, go ahead. We’d love to hear it! Sure! offline. Yes, you want to respond in 24 hours or less, but if you can provide them with a phone number to call you back or if you have their information where you can call them directly, you want to provide service recovery as quickly as possible. Jennifer: 08:10 Of course, that’s brilliant. Elle: 08:12 One of the second things you want to do is make sure when you’re responding to this review, that you’re extremely cautious about not bringing up any specific medical concerns or any issues related to their experience. You can be fined as a medical provider if you are going over the details of that visit, so you want to keep it very generic. However, you want to acknowledge their concern. That does not mean you’re putting their medical record number out there and all the details of their visit. Keep it very generic. Jennifer: 08:46 Okay. Excellent. I think those are really good points. Any others that you’d recommend? Elle: 08:51 Yes, and again, you really want to take the time to train your office staff, as well. If you have someone who’s responding to reviews for you, share this information with them because it can make or break the patient experience, as well as your marketing tactics. I’ve seen some cringe-worthy reviews and it just saddens me. Something else I do want to bring up, Jennifer, there is a way that you can get rid of the negative reviews. Jennifer: 09:22 Okay. What does that? Because everybody’s going to want to know it, obviously. Elle: 09:26 Absolutely. Remember we talked about how you want to solicit and generate more and more reviews? Now we won’t be able to totally delete that review off of Google or Facebook, of course, but the more reviews, the more positive reviews you are able to generate, it pushes that negative review down. So that’s another reason generating reviews is so important – because any negative reviews out there will be pushed down to the bottom. Jennifer: 09:54 And that’s because the newest one is on the top, right? Usually? Elle: 09:56 So you have to be very strategic, as well, if you do have negative reviews. Jennifer: 10:01 That’s important and, I know this from being a marketer, in general, I always think the ones who are going to be most motivated to go online and write a review are the ones who had either a fantastic experience or had a horrible experience. So you’re more likely to discount the negative if you see an abundance of good ones because that tells you, really that’s the consistent thing here. Jennifer: 10:28 I just think that’s amazing. What you’re basically saying is that the review is important, but your response is the most important, which is something you can control. Jennifer: 10:41 So with your platform, do you work with the provider to respond, or do you get the response from them and then you guys put that out there for them? How do you guys make that easy for the provider? Elle: 10:55 There’s really two ways that we go about it. When we partner with any medical provider who has their own practice, we generate reviews for them. So if there is a negative response, opposed to it going immediately to Google or to Facebook, we’re able to capture that on a microsite and respond to it immediately. So it’s really a way for you to diminish the negative reviews from going directly to your site. If you can capture it by automating it through our software solution. So we are able to retain that patient loyalty for you as quickly as possible. All patients can go directly to Google to posts a negative review. If that happens, then you want to be notified of that and you want someone to respond in 24 hours or less, so we also do that, as well. Our software allows us to go in and directly respond, just as we would to a positive review, to a negative review. If a patient were to go directly to a medical directory listing or to a review site like Yelp or Google. Jennifer: 12:04 So you can basically work with the provider to understand how they want you to respond. You work them so that they know how you’ll be working, and then you can do it within those parameters. That is what takes the pressure off. That’s amazing. Elle: 12:17 A time saver. Jennifer: 12:18 A huge time saver, which, obviously, is one of the mos important gifts you can give a provider – to help manage their time. Elle, this was just amazing. Thank you so much for coming on here and talking with us about this. I think this is something that is of growing importance to medical practices and they don’t even know it. They are only now coming to realize it’s a big deal. Elle: 12:40 Yes, and now is the perfect time to really get involved and be proactive. That’s the key, Jennifer. Jennifer: 12:49 Absolutely, because there’s a lot you can do to really spread that word of mouth, which is really what it is. It’s online, but it’s helping the people who love your practice get that information out there. It’s the best way to grow your practice. I think it’s brilliant. Thank you so much for talking to us about all this. Everyone listening, you can find out more about Elle’s work at digitalhealthcareconsultants.com. And, if you missed the intro, Elle is an RN and reputation management consultant. She works with healthcare organizations and medical providers to build and protect and manage their online reputations. So that was another episode of Healthcare Lead Generation. I’m your host, Jennifer Michelle of MichelleMarketingStrategies.com. I’m a lead generation specialist and I help healthcare tech and provider organizations grow their businesses. Thank you again, Elle. It was a pleasure having you. And, to everyone else, catch you next time!